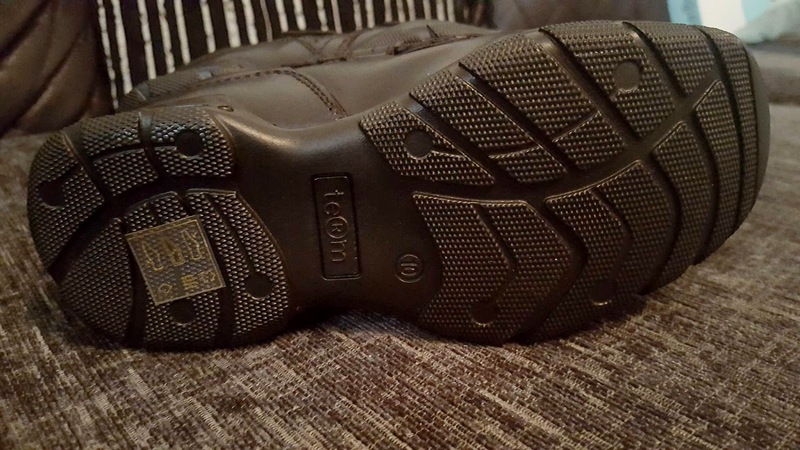 We have previously had some great experiences with Term Footwear, having reviewed both a pair of wellington boots and school shoes in the past. 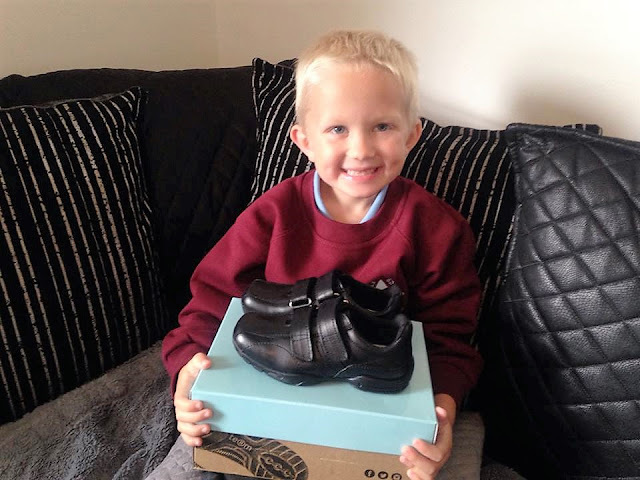 We have been thoroughly impressed on both occasions and with Riley starting reception year in school, it made them my 'go to' brand for a pair of great quality shoes for him. I have grown to love the brand this year, after being introduced to Term Footwear back in January. Both the wellies and my daughter's school shoes have been heavily tested for both comfort and wear over the last few months and so it is a brand that I have come to trust in terms of quality. One aspect that I really love about Term Footwear's school shoes, is that they are also really stylish. So not only do the shoes provide comfortable footwear for my children, but they also look great too. I usually ask my children to pick which styles they like and sometimes can be a bit unsure about their choices, but I loved all of the styles on offer on the New Brands website. I sat down with Riley one afternoon and we went through all the different options. Initially he liked a pair with laces, but I explained to him that this could be a bit tricky when needing to get changed for PE and that he would also need to learn to tie them himself. We therefore began to look at the velcro designs and Riley settled upon the Hoddle Double shoes which looked great. I placed the order for the shoes in a size 10 and immediately received an order confirmation email. The following day, I received another email confirming that Riley's shoes were on their way already and would be with us very soon. A couple of days later the shoes arrived and Riley couldn't wait to get the box opened and try them on. The box, like on previous occasions, was smart and stylish. It is also compact enough to keep in your wardrobe, giving you a handy place to store the shoes when not in use. Riley immediately opened the box and had a good look at the shoes, he said he was going to feel really big and grown up wearing smart shoes to school and he couldn't wait to try them on. Everything from the materials used, to the stitching around the shoe, seemed to be of excellent quality. I particularly liked the subtle soft padded collar around the heel area which would give him support throughout the day and also prevent any rubbing or blisters. The Hoddle Double shoes are manufactured from high grain leather and also have flexible thermo rubber soles. Riley moves so much during the day that it was important for him to have a shoe that could move easily and comfortably whether he is walking, running or even climbing. 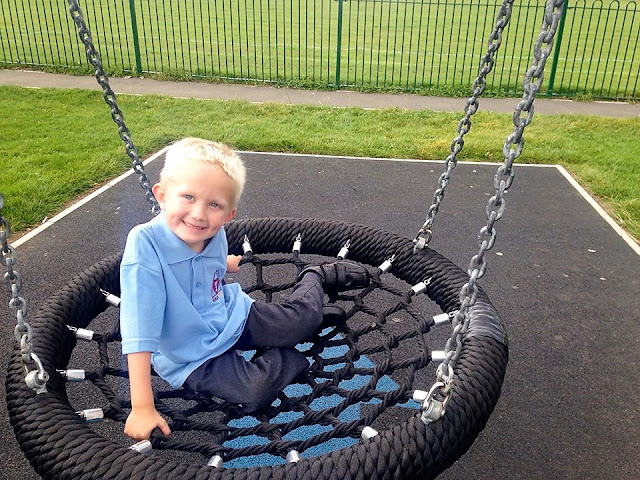 As you can see from the picture below, the shoes also have a really good grip which I am hoping will help to prevent any slips or trips in the playground. The insole inside the shoe is really well cushioned and he said that they were just as comfy inside as his trainers. My children's school shoes don't only just see action in the playground, so it was important to me that the shoes were also comfortable enough to walk 2 miles a day in to school and back, as well as being able to withstand activities in the park after school. Riley was obviously more than happy to put the shoes to the test both in school and at the park! Overall we have been really impressed with these shoes. 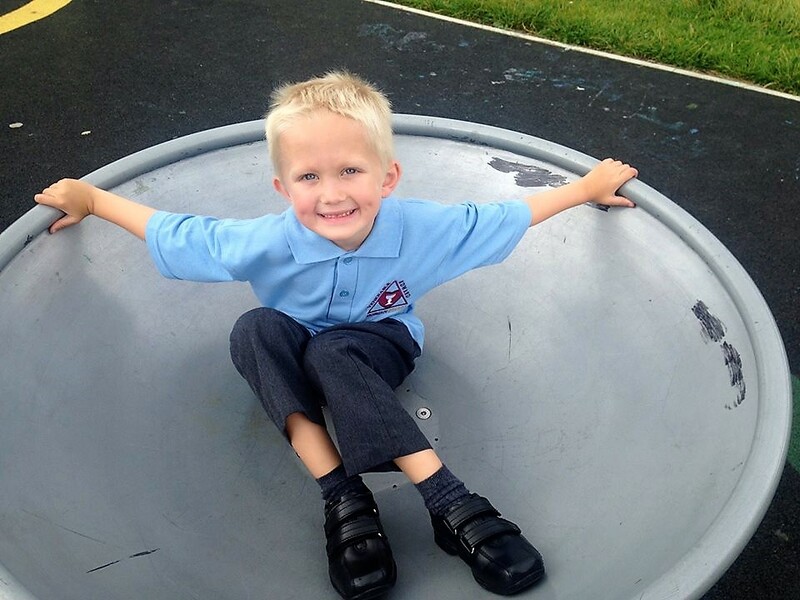 Riley has just completed his first week in reception and the shoes have caused him no discomfort whatsoever. He has told me that they are really comfy and that he also enjoys wearing them. He never seems in too much of rush to kick them off after school and there have been no complaints at all about any rubbing whilst on the walk to or from school. We both feel that they look really smart and love the sleek and trendy design, as well as being easy to put them on and take them off. The RRP of these shoes is £39.99 which I think is great value for money and I am very confident that they will last him for a lengthy time, until they are outgrown. Term Footwear is a new UK brand registered in 2016 by a husband and wife team, who have over six years worth of experience in importing and selling children's footwear brands within the UK. They had a desire to create great shoes and boots that children would actually want to wear and initially launched the brand with their own range of wellington boots that are available in a variety of funky colours which are purple, navy, green, pink, red and blue. Term Footwear now supply a great range of school shoes to the UK market and all the shoes are manufactured in accordance with EU standards. The brand has concentrated on providing school shoes that are of a great design, comfort and fit and they are available in both traditional and modern styles. 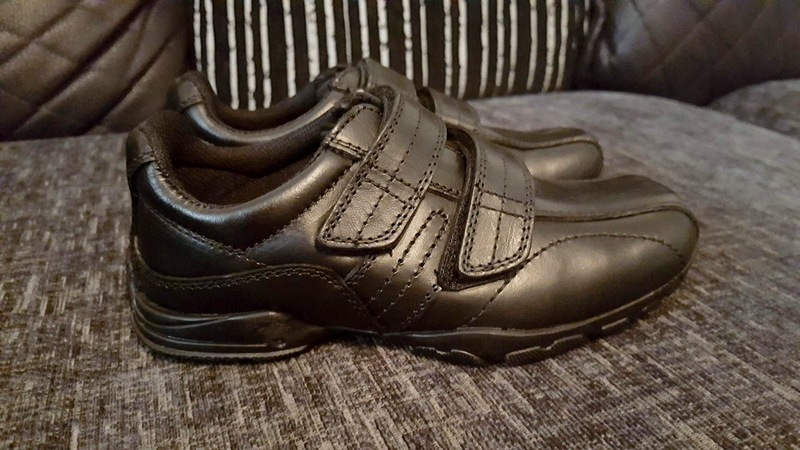 Disclaimer: We were provided with a complimentary pair of Hoddle Double School Shoes for the purpose of providing and honest review and opinion of the product. All opinions and photographs are my own unless otherwise stated.